Stay at this delightful Newberry hotel situated in the upper peninsula of Michigan. 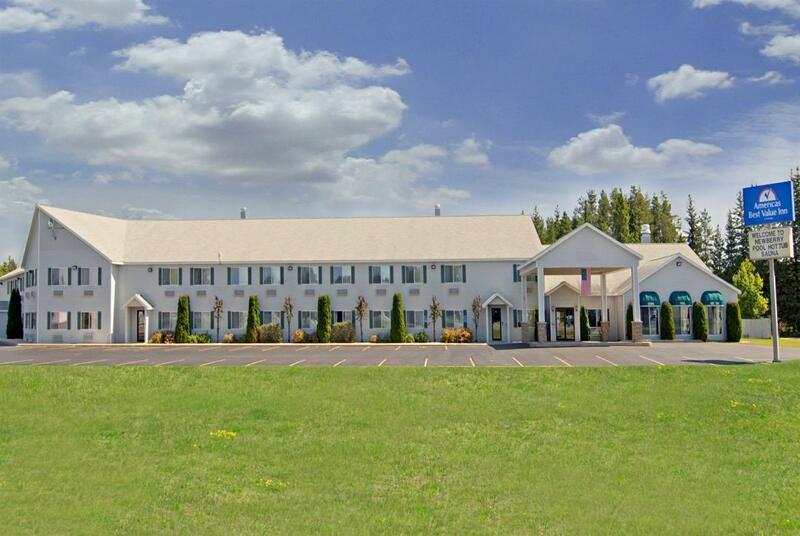 The Americas Best Value Inn Tahquamenon Country provides guests with easy access to local attractions and a variety of activities including snowmobiling, golfing, and hiking in Newberry, Michigan. The hotel offers all of the amenities to make both business and leisure travelers feel right at home. Guests can choose from rooms featuring kitchenettes or deluxe whirlpool suites. All rooms include a microwave and mini-fridge. The hotel also offers a complimentary continental breakfast between the hours of 6am and 9am, giving guests a great start before heading out to explore all of the Newberry attractions. 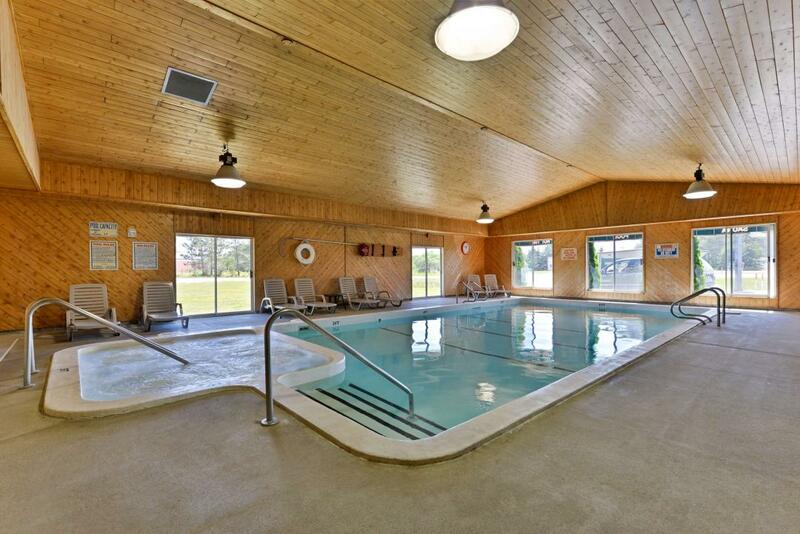 Additional amenities include an indoor swimming pool, spa, sauna, and conference rooms that accommodates up to 120 people. Pets are allowed, charges and restrictions apply. The Americas Best Value Inn Tahquamenon Country is situated near Oswald's Bear Ranch, which features three large natural habitats. The hotel is also close to the Toonerville Trolley offering train and boat tours of Tahquamenon Falls. The actual Falls, also known as little Niagara, is a short drive away. This Newberry hotel welcomes guests taking part in Michigan's popular Lumberjack Festival that takes place every year at the end of May. Snowmobiling enthusiasts should note that the Americas Best Value Inn Tahquamenon Country is located near over 800 miles of groomed snowmobiling trails in the Tahquamenon Country area. Our friendly and experienced staff is always eager to make your stay with us a memorable experience. 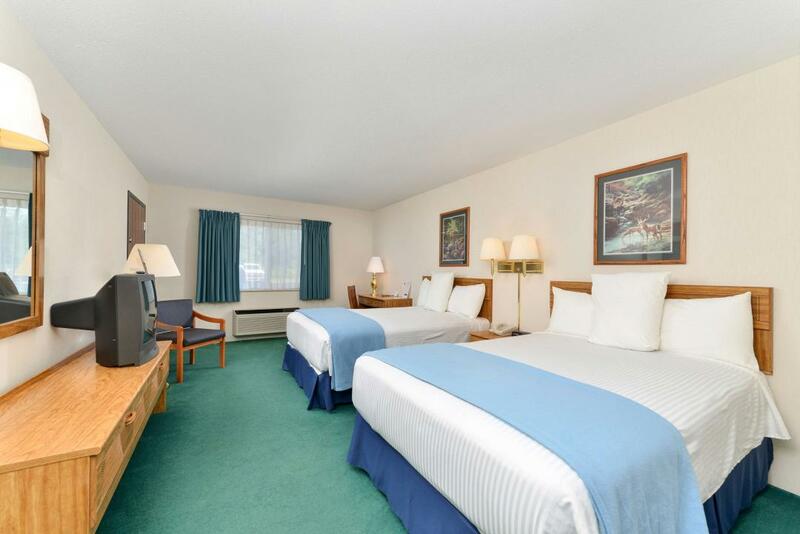 Enjoy the value of staying with Americas Best Value Inn Tahquamenon Country. Make an online reservation today at AmericasBestValueInn.com. Dogs ONLY allowed and restricted to 2 Queen Beds guest rooms (limited availability). Charges and restrictions apply. Pets may not be left in rooms unattended. Please call hotel directly for details and availability. Timber Charlie's Food & Spirit, 5 mi. Subway Sandwiches & Salads, 1 mi. Cobblestone Bar & Grill, 13 mi. Hideaway Bar & Grill, 13 mi. Oswald's Bear Ranch, 10 mi. Tahquamenon Falls State Park, 26 mi. Seney National Wildlife Refuge, 26 mi. Great Lakes Shipwreck museum, 48 mi. Soo Locks Boat Tours, 60 mi. Pictured Rocks Boat Cruises, 70 mi.